The Qoros 2015 World Championships is well on track to be the most followed table tennis event of all time. 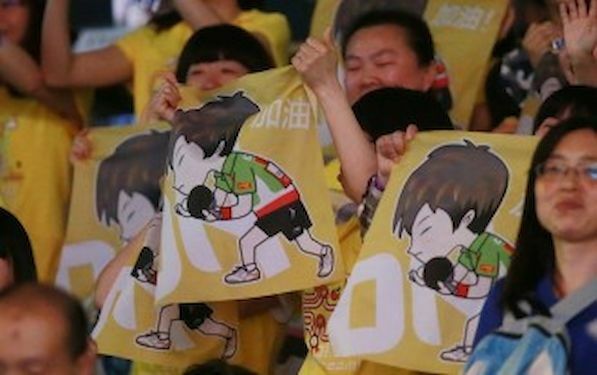 Over the first five days of competition that started on 26 April, not only was the sessions well attended by spectators flooding into Suzhou from all around the globe, total unique viewership in China alone achieved a record 185,727,000 audiences as reported by CCTV. The historic mixed doubles match won by Chinese/Korean pair XU Xin and YANG Haeun, recorded the maximum unique viewership of 81,770,000 in the host country. With unprecedented level of efforts on the social media promotion, the 2015 World Championships have also achieved Facebook impressions of 7,730,000, and resulted in over 823,302,000 hits on ITTF.com over the six days of event.